Flat Round Platter- 16"round, Bowl- 7 3/4"wide x 3 1/2"tall. This would also make a beautiful crudites and dip set. 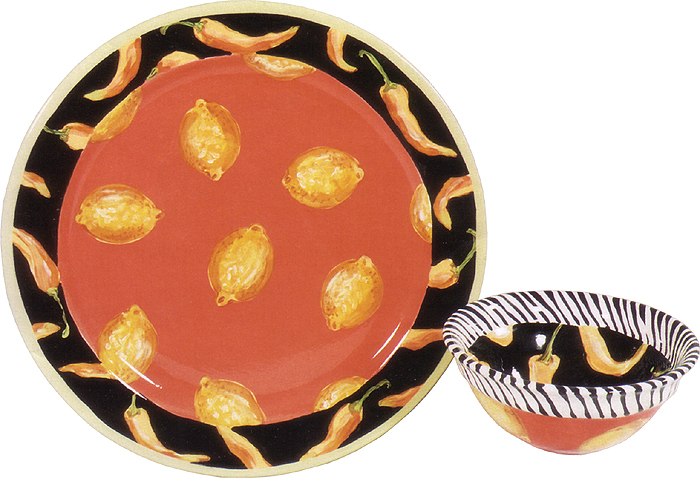 A bold and beautiful salsa set to compliment any salsa and chips.